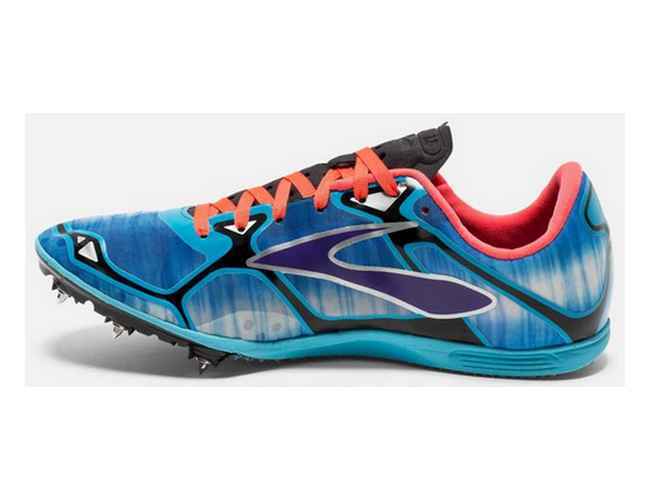 The Brooks Cascadia 13 Trail Running Shoes are designed for long compact trail runs which may incorporate some concrete. These Hybrid shoes keep your feet comfortable mile after mile of varying terrain they feature adaptive support and plush cushioning. Designed with a 4-point pivot posting system that provides increased flexibility and adaptability on tricky terrain, and a ballistic rock shield to protect your feet from trail hazards. The dynamic BioMoGo DNA unit offers improved cushioning with a deluxe feel. The Caterpillar Crash Pad works to offer adaptive cushioning, ensuring you get a smooth and comfortable transition, step after step. The Pivot Post in the forefoot provides 4×4 like suspension, with adaptable support allowing your foot to make even contact with the ground and helps to prevent injury or falling. The Ballistic Rock Shield also serves to protect, keeping out stones, debris and stopping jagged rocks from penetrating the outsole and preventing any injuries.